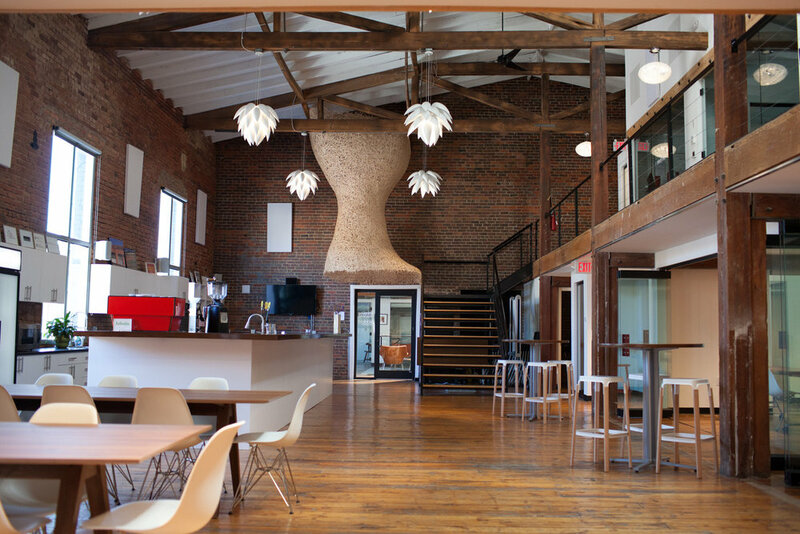 HQ Raleigh expanded into the top five floors of downtown Raleigh's historic Capital Club Building. Leasable office suites and meeting spaces are located on floors 8 through 11 and the 12th floor houses a 4,000 square foot ballroom used for private events and weddings. We removed old carpet and low acoustic tile ceilings. 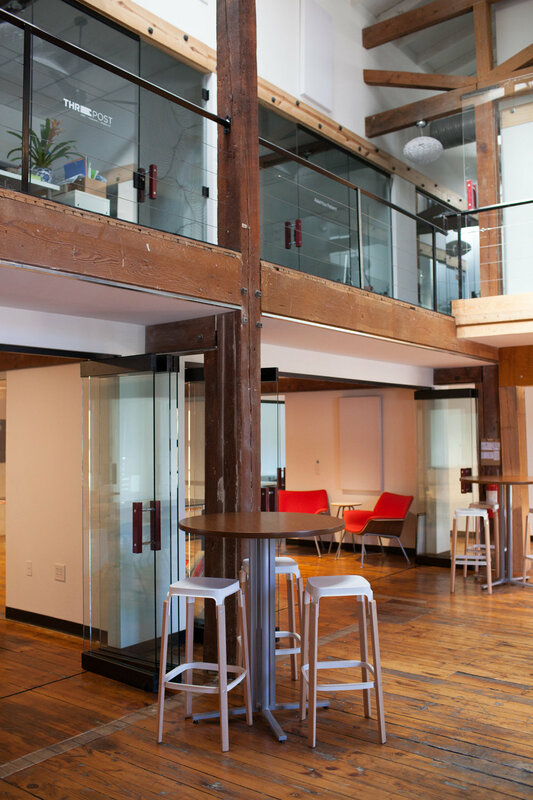 The new space has bright glass front offices and exposed original plaster detailing. 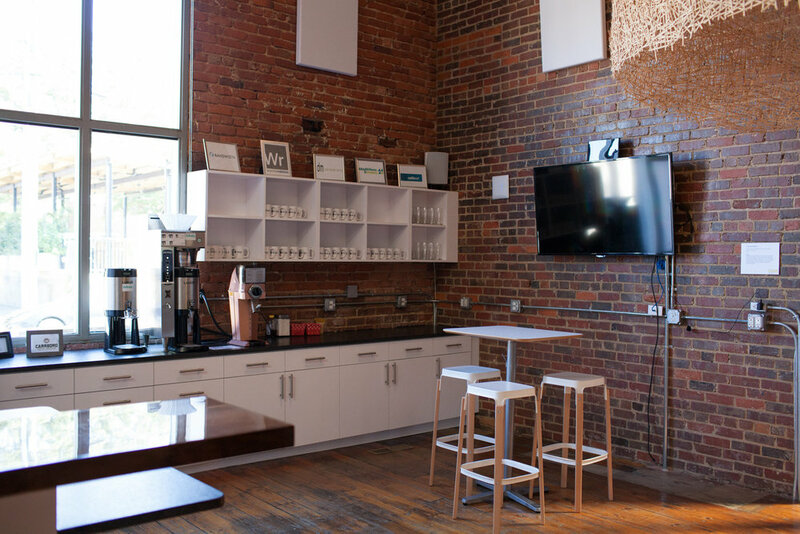 Located in downtown Raleigh's warehouse district, this co-working space features shared common areas, conference rooms, and private offices. 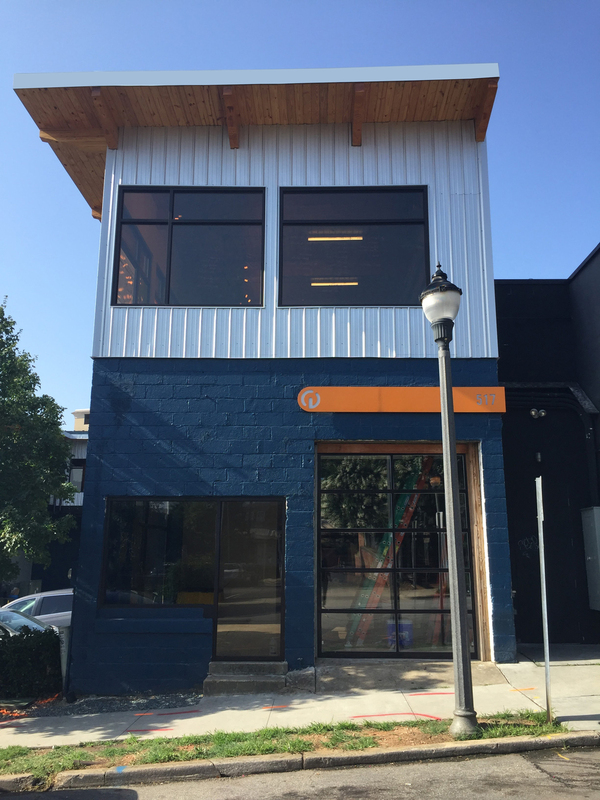 The building at the corner of Peace and West Street has been transformed into an open and flexible two-story office space. Complete with living walls and bright work areas, the renovation has brought new life to the 500 block of Peace Street. 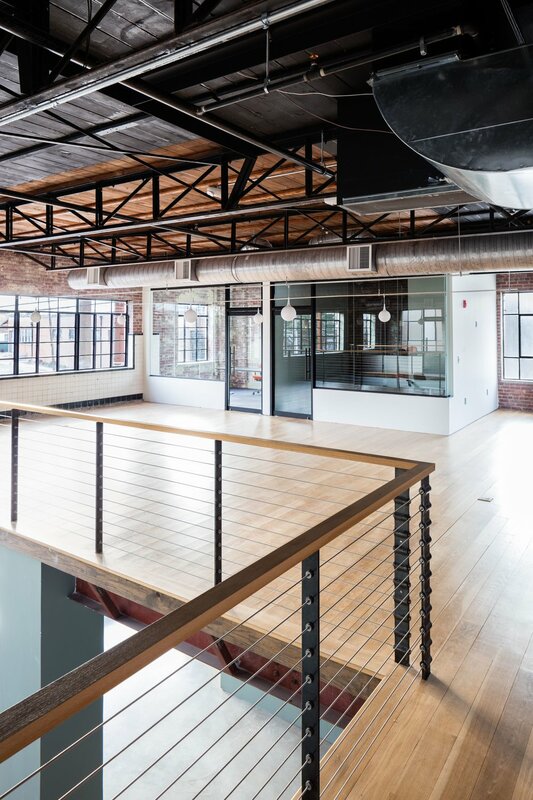 The historic Todd's Building in downtown Wilmington is the new home to tech companies Next Glass and Untappd. 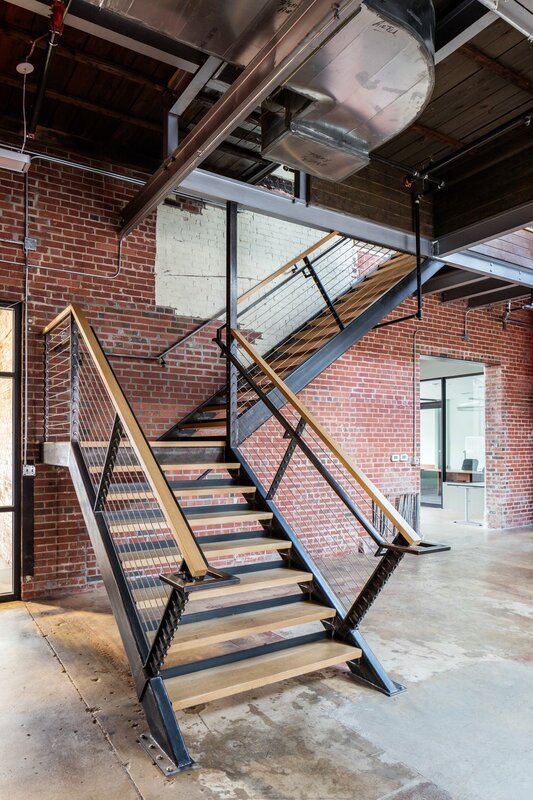 The main showstopper in this historic renovation is the custom-fabricated steel staircase in the lobby. The new work area includes a bright open work space and glass-walled private conference rooms. Built in 1937, this office building was designed by acclaimed architect William Henley Deitrick. 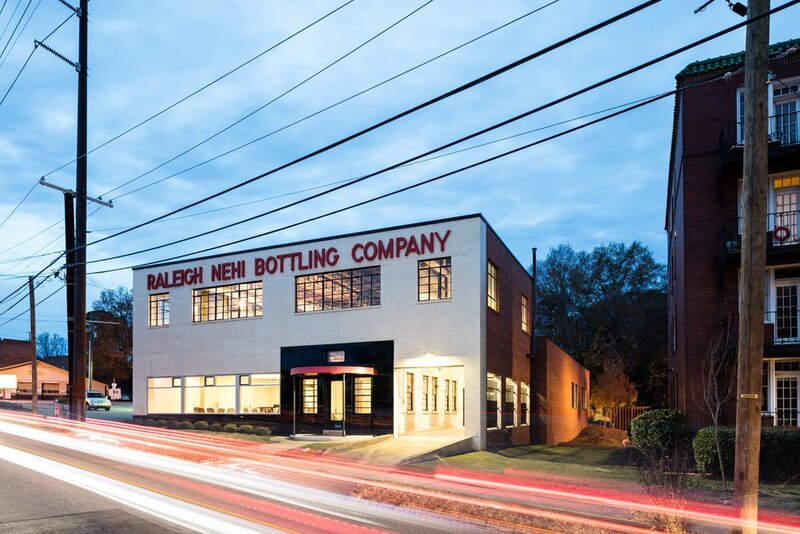 The historic bottling facility has been fully restored as office space on Hillsborough Street. 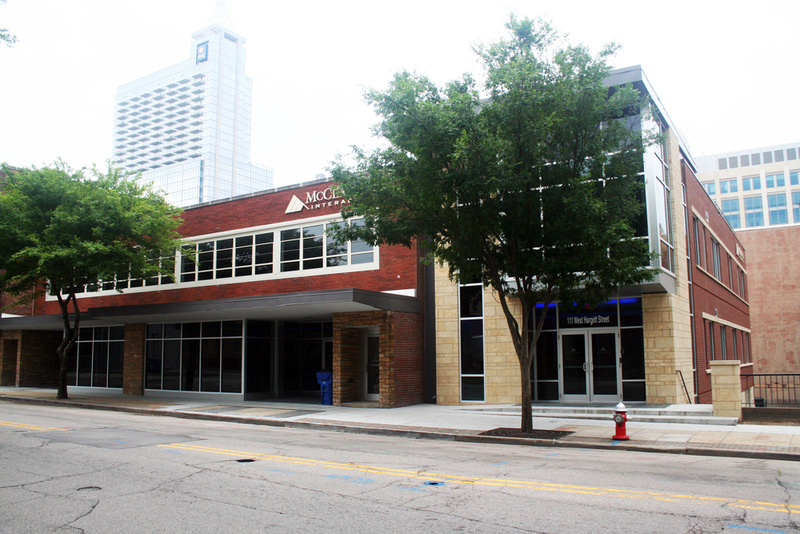 Part renovation and part new construction, the existing portion of this building is a contributing structure to the Fayetteville Street Historic District. 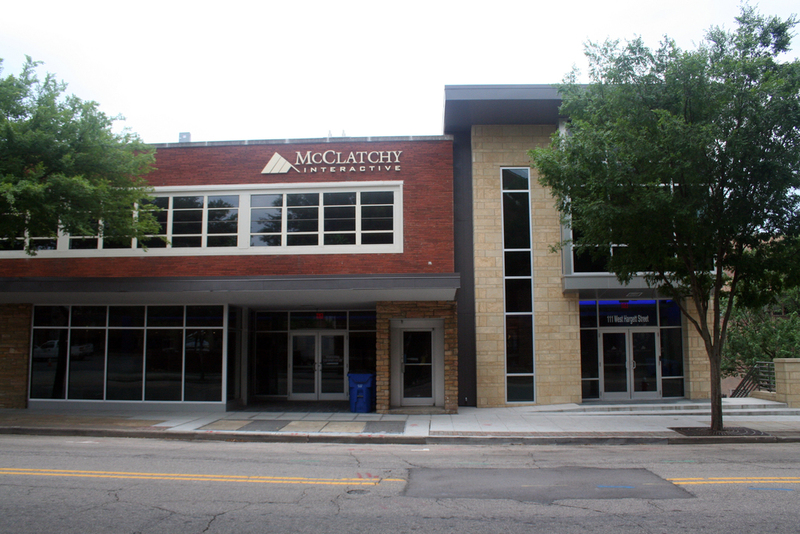 Now inhabited by McClatchy Interactive, the building was renovated to include open work space, a break area, and several new offices. 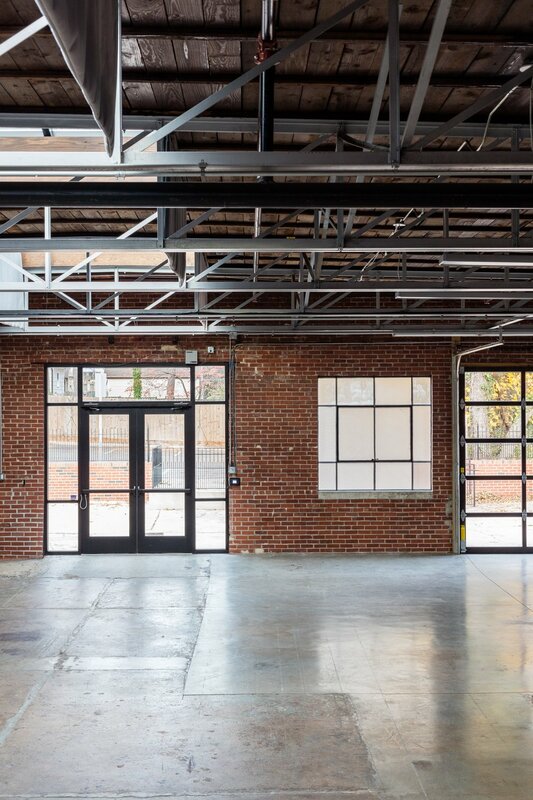 Faced with the challenge of expanding within existing buildings, this project required a unique solution: to bridge the existing work space above a loading dock and over to a neighboring building, where a second story was added to complete the connection. This solution provided work space and conference rooms for the growing company, and created opportunities to incorporate more daylight and access to outdoor space within the work areas. 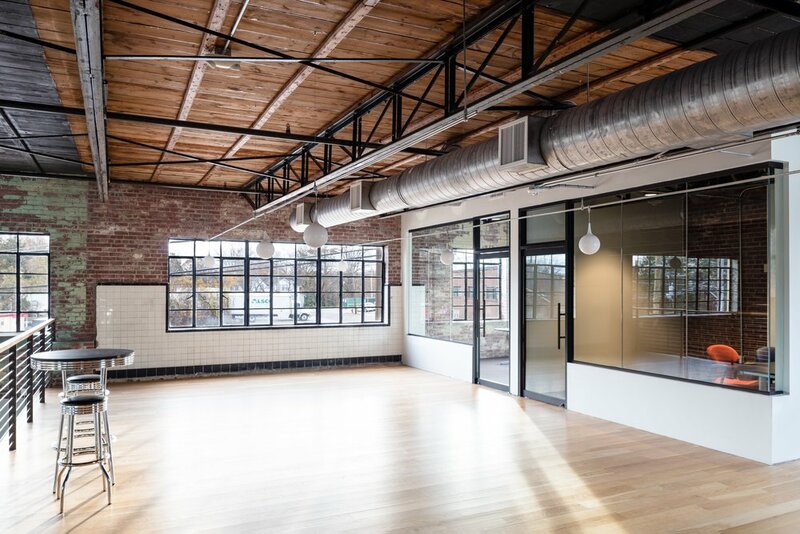 This renovated 1950s industrial building on S. Bloodworth St. is home to Anchorlight, an interdisciplinary creative space. 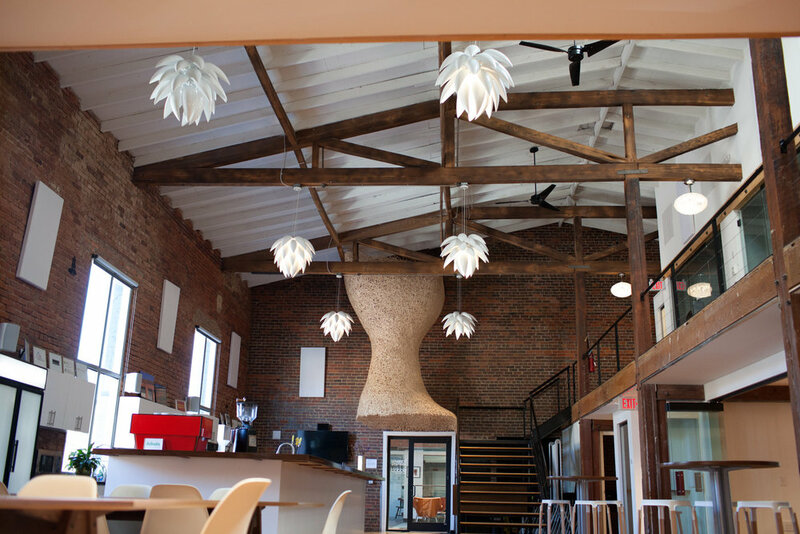 The former warehouse now houses bright, open artist studios and production space for a variety of makers. 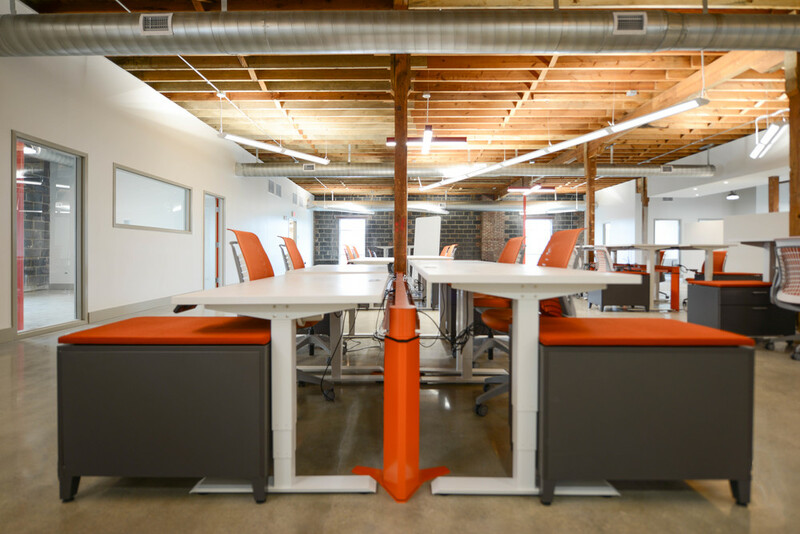 Common areas and flex space are utilized by all tenants. 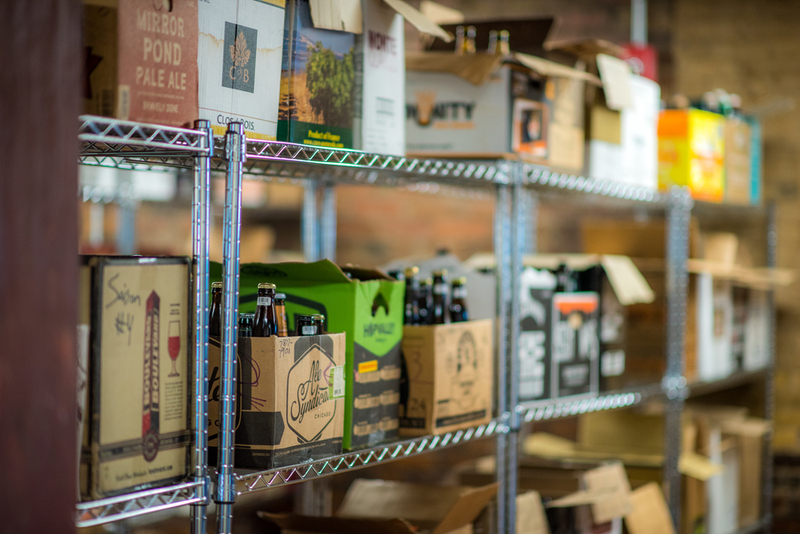 Anchorlight shares the building with Brewery Bhavana. This project included the full renovation of two buildings in the heart of the Smithfield Historic District. The was awarded a North Carolina Main Street Award. Constructed in 1902, this was one of the first office buildings in downtown Raleigh and was the original home of the Carolina Trust Bank. The scope of the project includes a new storefront, shell design for assembly on the first floor and basement and an infill addition to house a new elevator, stair shaft, and additional office space. The project received the Anthemion Award from Capital Area Preservation. This four-story shell office building offers 58,000 sq. ft. of space and is the first of two buildings to be constructed for the Alexander Place Office Park. 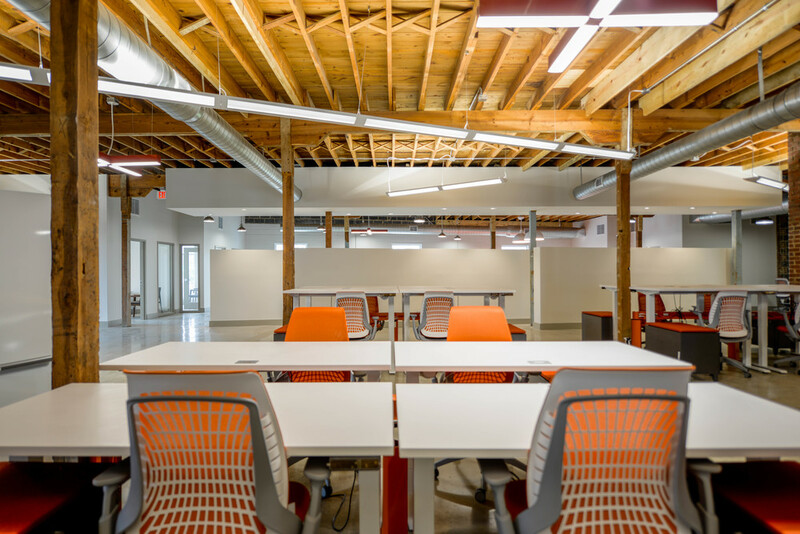 A former modest single story manufacturing and storage facility was transformed into a beautiful new, multi-tenant work space. A new entry was added to the exterior—along with new common core—while the historic character was maintained on the interior.